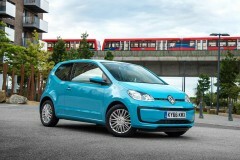 What a likeable car the Volkswagen Up! is - it’s unpretentious, quirky, good value, economical in all departments and has great Volkswagen credentials – a sure fire city car winner. 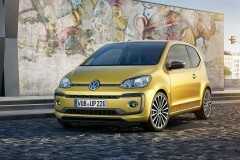 And when Volkswagen says that it wants the Up to be the carmaker’s biggest global seller, you sit up and take notice. When you think of all the models they could have put this expectation on, the Up! is not the first that comes to mind but look a bit deeper and all becomes clear. The Up! range has grown and grown over the years so it now boasts 6 models and 7 engines but what stays the same is VW’s build quality and the fact that it’s a leading car in its class with either 3 or 5 doors. The Up! Gti give surprisingly sprightly performance numbers thrashing its 1.0 turbocharged 6-speed engine from 0-62 in 8.8 seconds. Volkswagen also keeps up the quirky credentials of the Up by including a up! beats model with a focus on acoustics and a beats sound system. 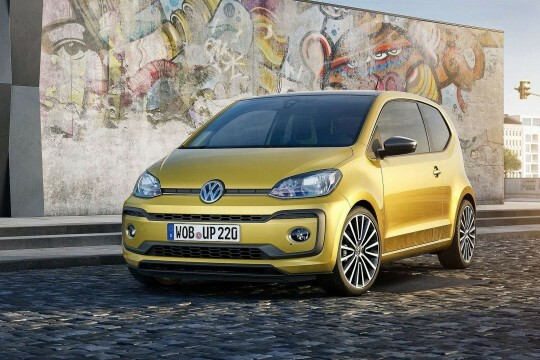 VW go even further with the e-up! that’s an electric only model with impressive spec but a much higher price that makes it ideal for leasing, particular for business lease.